Dischidia (Dischidia spp. ): growing, planting, caring. 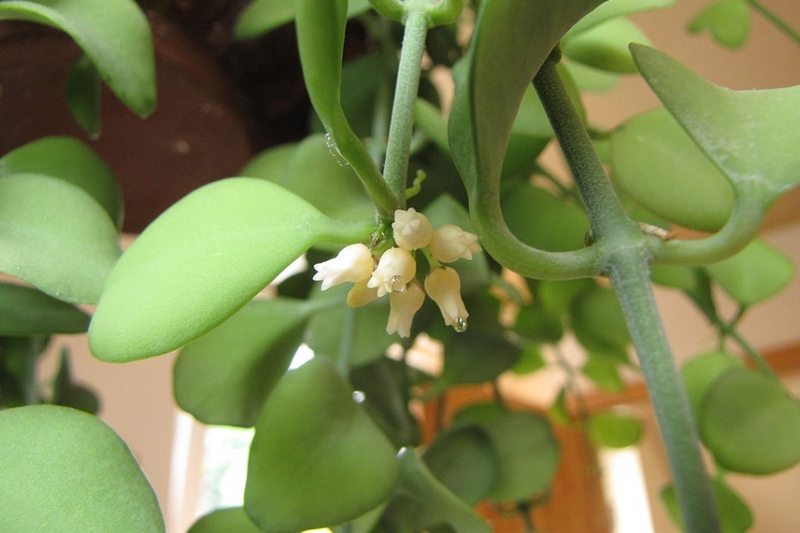 A small succulent - cultivated as a houseplant. Scientific name : Dischidia spp. Full description for Dischidia spp. not yet available. There are two categories of leaves among the dischidia: Those that form a hollow leaf, gradually taking the shape of a snail shell. Others have leaves grouped in pairs and creates a kind of shell under which hide the ants. Dischidia is an epiphyte, so there is no need to plant it. It may be good to put it on sphagnums that will retain moisture, or plant in a basket filled with special bark for orchids. The location is crucial: avoid the scorching sun. Where to place it? It needs light but no direct sun, without drafts. Spray your dischidia with non-calcareous water every week or every two weeks depending on the level of moisture in your appartment. You can also opt for a soaking of 10 minutes. If your dischidia seems cramped in its pot, shell or tube, repot it in a larger container. Reminder: a tube filled with foam or a basket filled with barks are suitable.